Can you work out from this census return how Mary Frowde supports herself and her son? What different jobs do the men on this census return do? What different jobs do women on this census return do? Are there any jobs which do not exist today? Can you explain why? 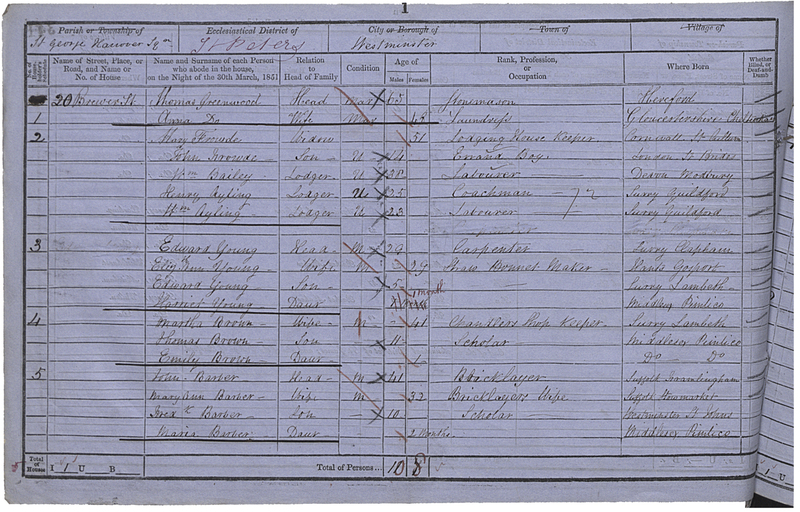 Compare this page of the census to the previous one. Can you explain any differences between these areas of Westminster?